In our ongoing efforts to promote and protect Alhambra’s historic assets, Alhambra Preservation Group is an active participant in the Los Angeles Heritage Alliance (LAHA). Created a few years ago by young, enthusiastic John Bwarie, LAHA brings together preservation leaders from throughout greater Los Angeles, who meet quarterly to brainstorm on new and effective ways to preserve the buildings that showcase Southern California’s rich history. I am proud to represent APG among like-minded participants including the Petersen Automotive Museum, Friends of Griffith Park, the LA Conservancy, Los Angeles Art Deco Society, the Culinary Historians of Southern California, Santa Monica Conservancy, Studio City Historical Society, Highland Park Trust, Association of Historical Societies of Southern California and the Long Beach Preservation Society. Meeting people like Charlie, gives APG additional resources to promote our work and to benefit the membership as speakers at general meetings. In addition, the LAHA meets at historic venues throughout Los Angeles, which gives APG more choices for our bi-annual member field trips. The February meeting was at the African-American Firefighter Museum (run entirely by volunteers) in an historic firehouse in downtown LA. 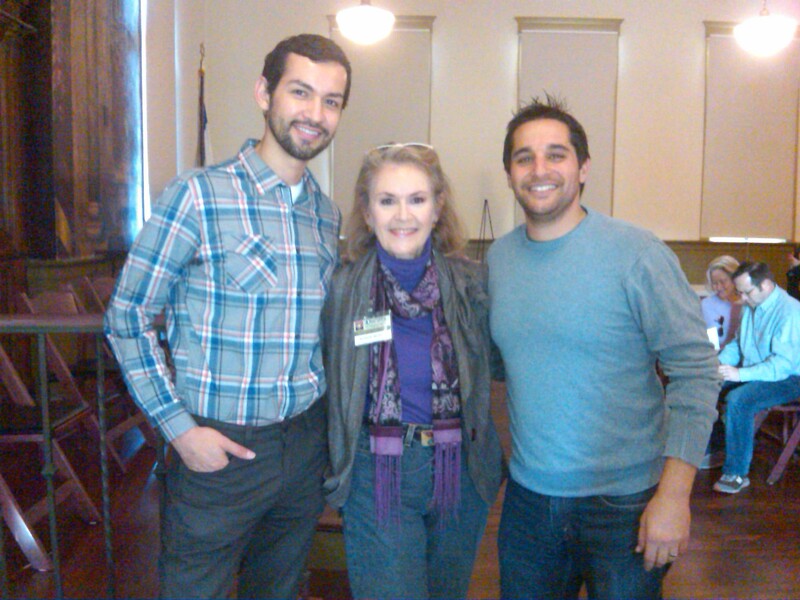 The November 2012 LAHA gathering took place in the Breed Street Shul (synagogue) in Boyle Heights. Known as the Queen of the Shuls, it was Los Angeles’ most beautiful. Julius Schulman, legendary mid-century modern architectural photographer, attended this shul. 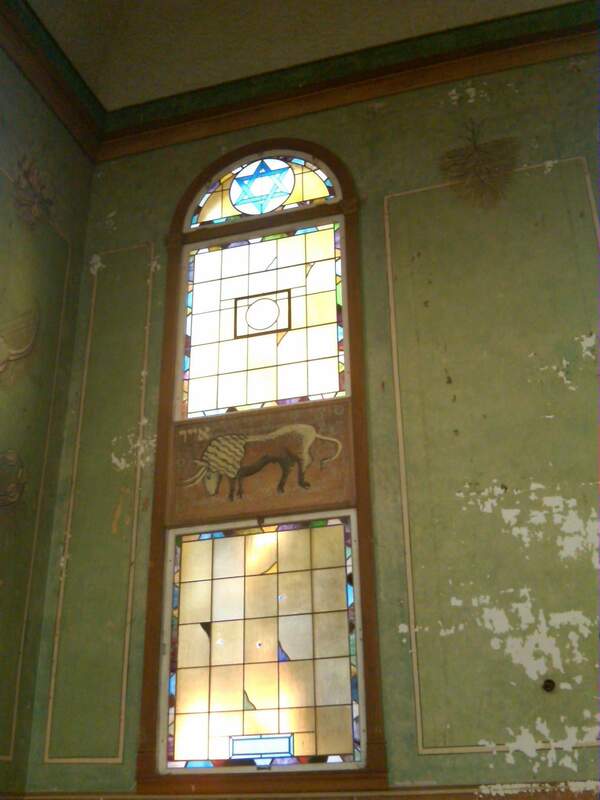 It’s still impressive and is being restored by the Jewish Historical Society of Southern California. Both venues are open for tours, weddings and special events. LAHA organizes the annual LA Heritage Day, in which APG traditionally features a popular display. More than 1,500 people attend from across Los Angeles. 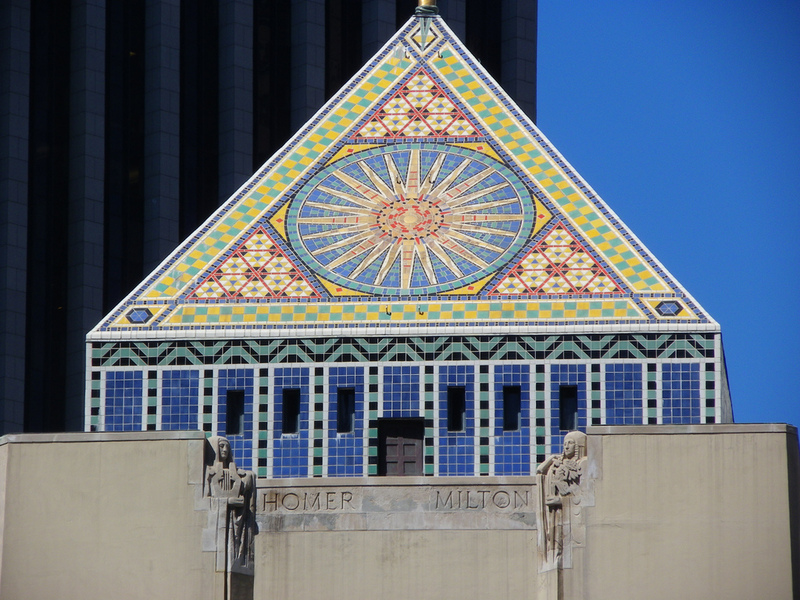 This year, LA Heritage Day will be April 14, 2013 in the El Pueblo historic district in downtown Los Angeles. Plan on attending and be sure to stop by APG’s table to say hello to our hardworking volunteers! Photos courtesy of Barbara Beckley. Save the Date! On Thursday, March 7, 2013, Alhambra Preservation Group will present a lecture and slide presentation by esteemed author and architectural historian Romy Wyllie on the famed architect Bertram Goodhue, whose work has defined much of the Southern California landscape. The lecture, entitled Bertram Goodhue’s Arts and Crafts Legacy, will take place at 7 p.m. in Reese Hall at Alhambra’s Civic Center Library, 101 S. 1st Street, Alhambra, CA 91801. Goodhue was a true Renaissance man – an architect, typographer and graphic designer. His career spanned several movements, including Arts and Crafts, Spanish Colonial Revival, and Art Deco. He was the architect of much of Southern California’s iconic architecture and is credited with designing the Los Angeles Central Library and multiple buildings on the Pasadena’s Caltech campus. His work can be found throughout the United States. The noted lecturer and Bertram Goodhue biographer, Romy Wyllie, is a native of England and taught architectural history and interior design at the Herrington Institute of Interior Design in Chicago before moving to Los Angeles in the early 1980s. Since 1985, she has led Caltech’s Architectural Tour Services as its co-founder and chairwoman. Alhambra Preservation Group wishes to thank The Maloney Group realty partnership for its generous sponsorship of this special event and invites you to come and learn more about Bertram Goodhue, a true architectural star. The lecture is free of charge and open to the public. Light refreshments will be served and ample public parking is available in the library’s underground parking structure. To learn more or to RSVP for the event, please call Alhambra Preservation Group at (626) 755-3467 or follow us on Facebook. Photo courtesy of Ellen Forsyth.